Over 2,000 children are killed or seriously injured each year on our roads – hardly surprising when even zebra crossings outside schools prove a battle. Every child has the right to cross to school in safely. Help us ensure that every school can get a designated safe crossing on any road on which it has an entrance. Pop-up zebra crossing from ETA Insurance on Vimeo. 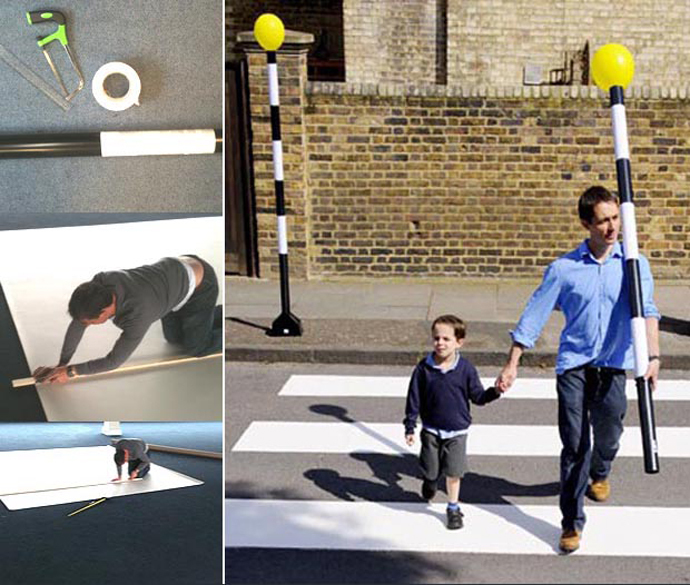 When we were approached by a group of parents whose request for a zebra crossing at a road traffic collision black spot outside their local infant school had been turned down on grounds of cost, we went about building one ourselves as cheaply as possible. The result was a pop-up zebra crossing that could be erected in less than two minutes. And with no need to consider drainage, the excavation of existing pavement, disposal of material, new kerbing and paving, anti-skid surfacing, road markings, traffic signs, electrical connections and pillars, the total cost came to £50 – considerably less than the £114,000 quoted by the Highways Agency. Faced with coverage of the campaign in the Sunday Times, Daily Mail, Evening Standard and Metro newspapers and on numerous radio stations, the local authority concerned quickly installed the much-needed real zebra crossing. Why is it so hard for schools to get zebra crossing installed? 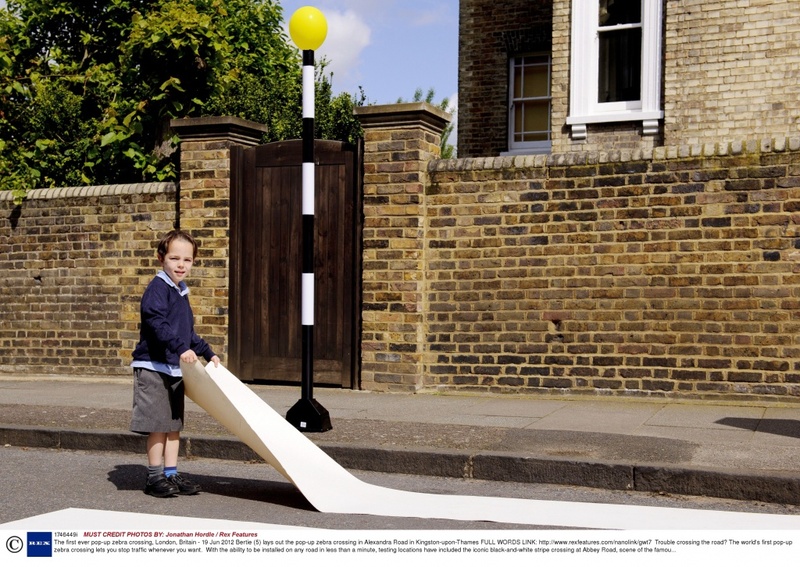 Thousands of children struggle each day to cross busy streets outside schools, but appeals for zebra crossings are routinely turned down on the grounds of cost; according to the Highways Agency it is possible to spend £114,000 on a single crossing. The astonishing figures came to light when Oliver Letwin MP campaigned for a crossing to be installed outside a school in his West Dorset constituency. When his request was turned down, he asked how much the build costs were so that the money might be raised locally. The £114,000 he was quoted included £11,000 for design work, an additional £16,000 for the beacons, wiring and road signs and an eye-watering £87,000 for labour costs. With our experience of running Walk to School campaigns we are well aware that safety concerns can be a major deterrent to parents allowing their children to make the often short daily journey on foot. It is in the interest of every school, parent and council – every taxpayer in fact – to ensure Safe Crossings for Every Child. We have refined our pop-up zebra crossing concept so that it is easier for schools to mount protests of their own. The new inflatable zebra crossing is bigger, brighter and easier to transport. Have a removable crossing that can be put out every morning and evening and taken away for the rest of the day? Where can I get some of that white adhesive paper?